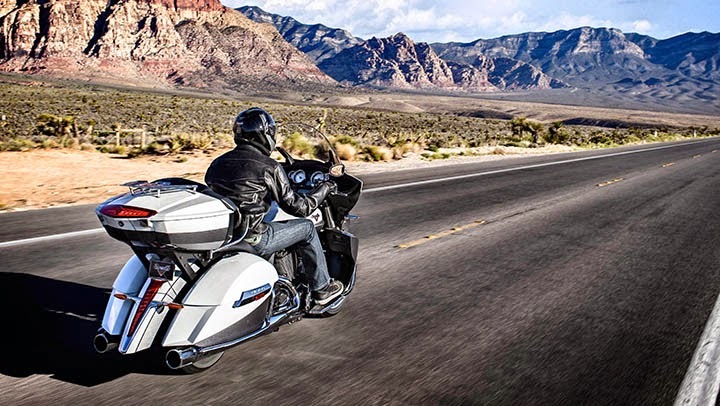 The National Highway Traffic Safety Administration has released figures showing that the number of motorcycle fatalities decreased in 2013. As such, it marks the first year-on-year decrease in deaths since 1997. Some 4,668 people were killed in motorcycle accidents in 2013, says the NHTSA. That's a 6.4-percent decrease from the fatalities in 2012, which were themselves down from 2011. Still, in relative terms the numbers are not great. Motorcyclists represent just a little more than 3 percent of road users in the United States but account for more than 14 percent of traffic deaths. According to the NHTSA's 2012 figures, the fatality rate for motorcycles is 26 times higher than for passenger cars. Safety numbers are often eagerly analyzed by both sides of the helmet debate, but the NHTSA admits its numbers are incomplete. Researchers said that whether a rider was wearing a helmet was only reported in 41 percent of cases. Of those, however, they found that 1,854 riders killed were not wearing helmets. Perhaps unsurprisingly, researchers found that of those riders who died not wearing a helmet, the overwhelming majority of them (1,704) were in states without universal helmet laws. Meanwhile, the number of deaths in which alcohol was a factor appears to have dropped. The NHTSA says fatalities resulting from alcohol impairment dropped 8.3 percent in 2013. You can read more about the 2013 data by downloading this PDF from the NHTSA.